KetoRoo Bakes is a ketogenic food delivery based out of Malviya Nagar. From her tiny kitchen, Roohan whips up maida, atta and processed sugar free snacks including pizzas, desserts, breads, bagels and lots more. Ketogenic snacks, healthy savouries and desserts, low-carb meals and breads. Roohan embarked on the KETO journey and realised that her options were abysmal between her everyday home meals and a one odd food delivery whose idea of KETO was a chicken something. 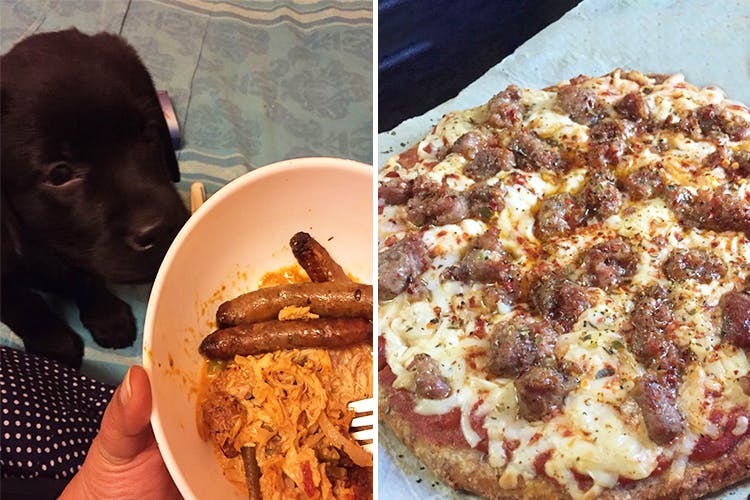 In a bid to help others like her, she started baking and cooking with her 431ltr fridge and dog sniffing around curiously. And a month later, KetoRoo Bakes came around. Since she herself has lost 13kgs with the KETO diet, she knows everything there is to know and is also honest and upfront with everyone who orders from her regularly. She, in fact, also takes into account the client’s weight, lifestyle and daily diet before she rations how often they should be ordering from her menu. She’s clear that people should consider her food as treats and not substitutes for home-cooked khaana. Having said this, the best part has to be the refreshing take on KETO meals. Her cheesy garlic breads, healthy pizzas (butter chicken baked on almond flour crust) and cinnamon rolls are the crowd favourites. Also, they've started delivering across Delhi NCR. It is a tad more pricey than usual. But then again, there's extra effort going in to make it all keto-friendly. So, it won't hurt to shell out the dough. Roohan plans on discontinuing the meals section and sticking to snacks and desserts. Oh, and if you want loaves of gluten-free bread (it has less than 1 carb per slice! ), you might have to give her an hour's notice at the very least.